For the last couple of weeks I've been jam packed with energy and the need to get as many things crossed off our "home projects to do list" as possible. Call it early nesting, the second trimester boost of energy everyone talks about or just the fact that it's Spring and I usually get like this around this time every year. 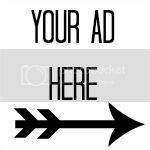 Either way, I LOVE it and I'm definitely taking advantage of it! One of the things I've been wanting to get crossed off my list for a long time is painting our front door. 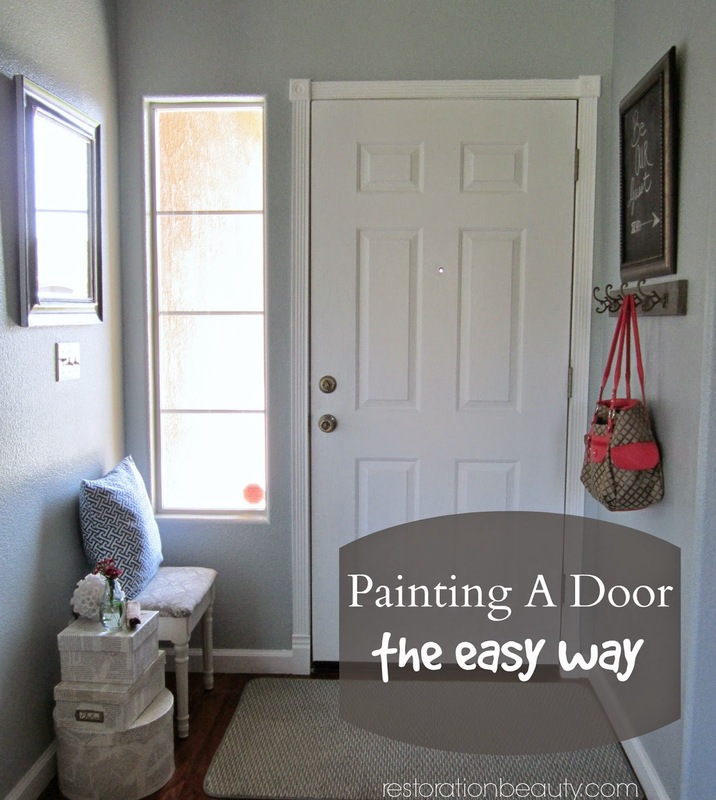 I thought painting a paneled door would be somewhat of a tedious task because of all the nooks and crannies and the many different directions of the faux wood grain. But I was sooooooo wrong! 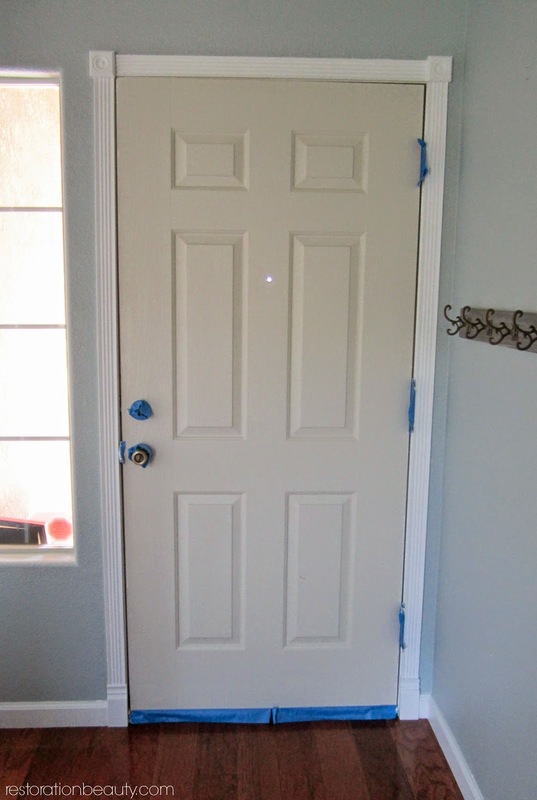 The technique I used for painting my door was not only super easy but super quick! And I didn't even take it off it's hinges or remove any pieces! And best of all the finish is flawless! 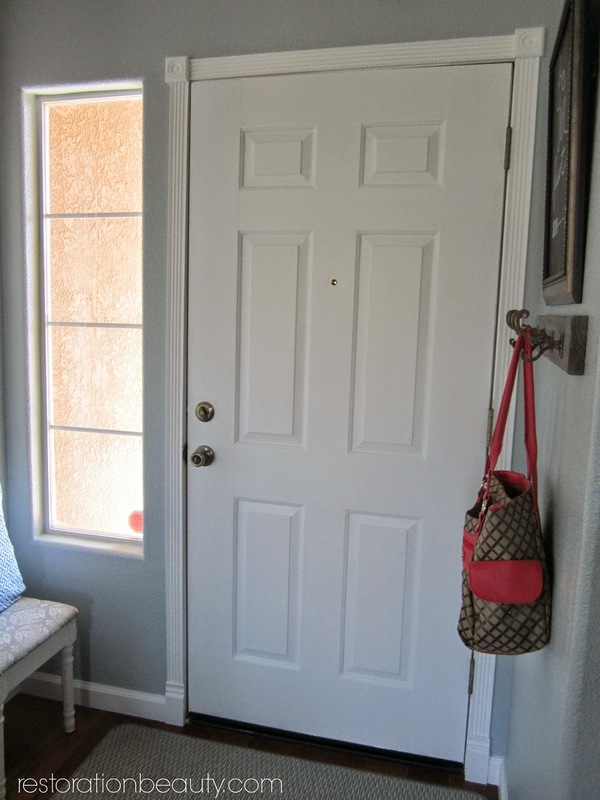 No, I didn't go with an interesting or fun color but I couldn't stand looking at the off white-ish (builder grade white) that just gave our front door a dirty appearance. 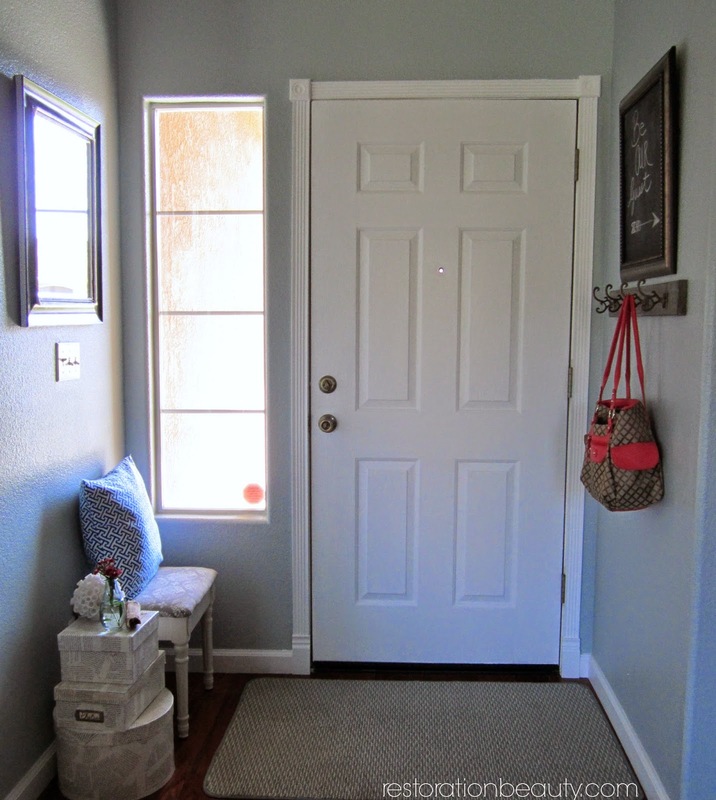 I want my entry area to give off a fresh and bright feel since it's so small and the "dirty white" the door had going on was totally killing this vibe. A crisp white was my choice of color and boy did it make a big difference! 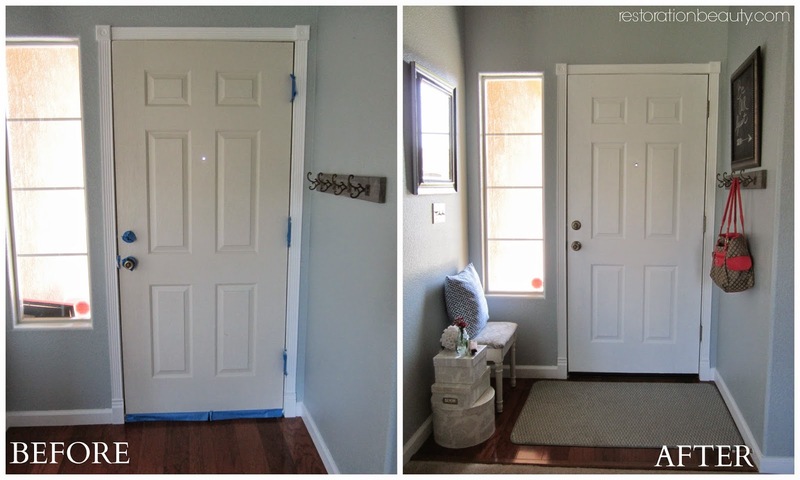 I got very excited after I painted our baseboards and door trim and could see the difference in the whites. 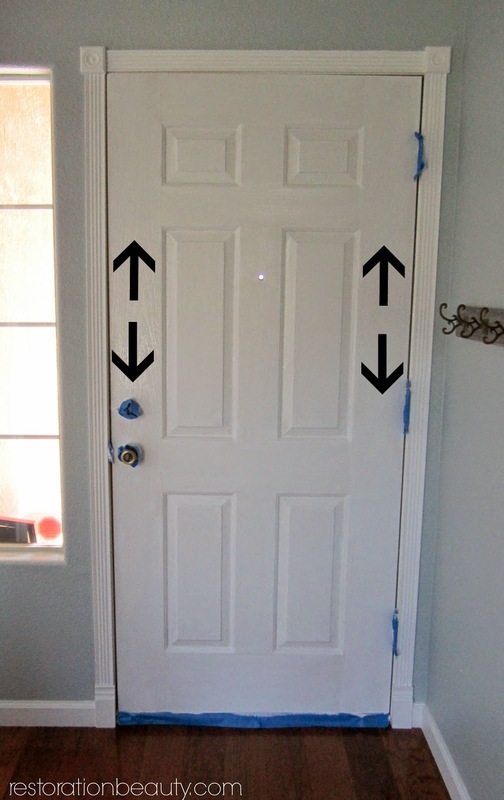 Before I go into the steps for this Easy Technique for Painting a Door, I want to stress how important using a good quality brush is. 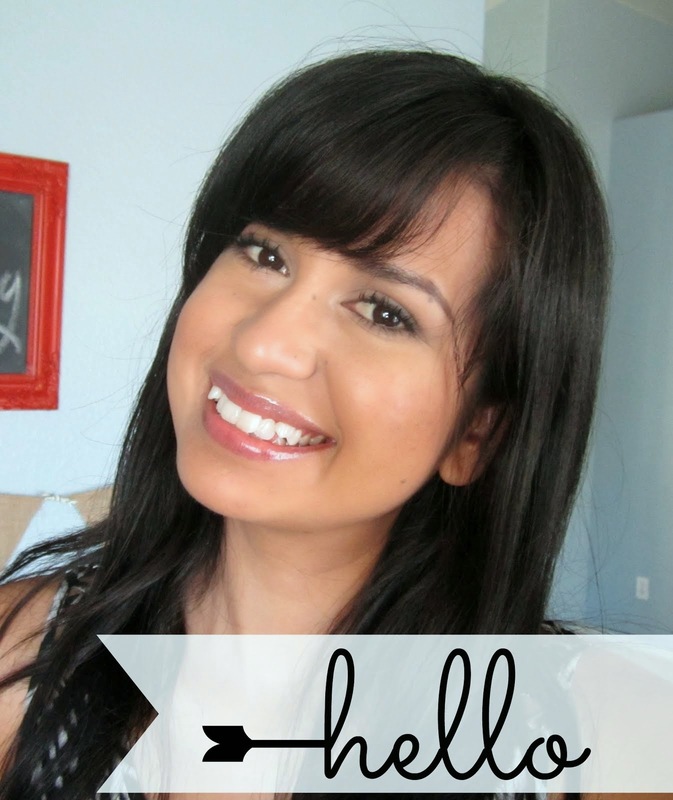 It's my #1 tip for ensuring you get a flawless finish. A lot of the tutorials I saw online said to use a small roller brush for the panels and to go over them with a brush afterward. I skipped using a roller brush altogether and only used this Wooster Brush (affiliate link) and the finish is perfect! It's my go-to brush for paining trims, baseboards and cutting in. And now I know how awesome it does on doors! It worked wonders in getting into those small corners on each panel without leaving it looking messy with brush strokes. *if you do decide to use a small roller brush just make sure you do smooth it out afterwards with a bristled brush or the finish the roller brush gives will hide the wood grain (real or faux). You will end up with a flat finish or even one with small bumps on it. Yuck. Okay. Now we can get into the steps for the easy and fast technique! I saw this tutorial on Pretty Handy Girl that helped me understand so much but I eventually changed some of the steps to adapt to my preference. I didn't bother taping off the trim since I had just painted the same white and if I did accidentally add more paint I would just smooth it over with my brush. I also didn't tape off the peep hole because I knew I would be able to get around it with my favorite brush. 2. Paint all your panels first always following the direction of the wood grain. The simplicity of painting these panels really surprised me! I thought they would be the most challenging part of paining a door. 3. Paint all the areas in between the panels as well as the top and bottom. 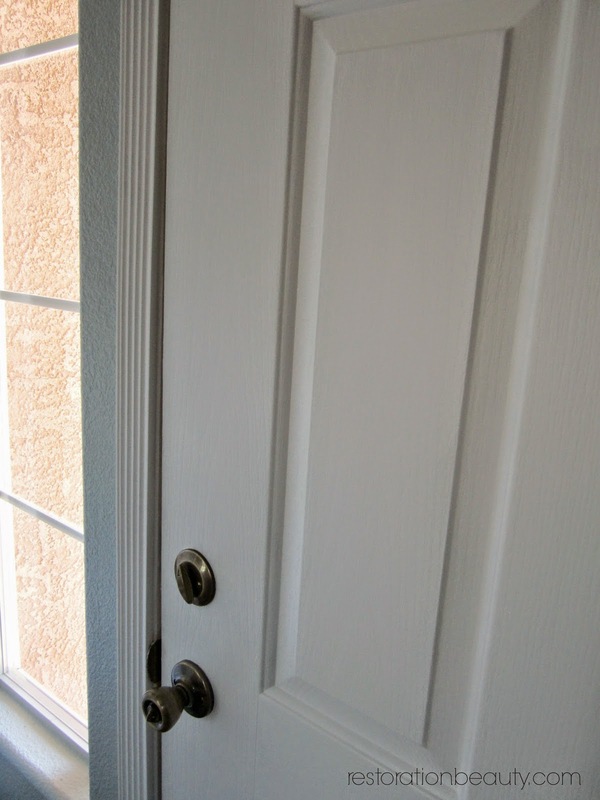 The direction of the wood changes to vertical on the side sections of the door so avoid this area in this step. 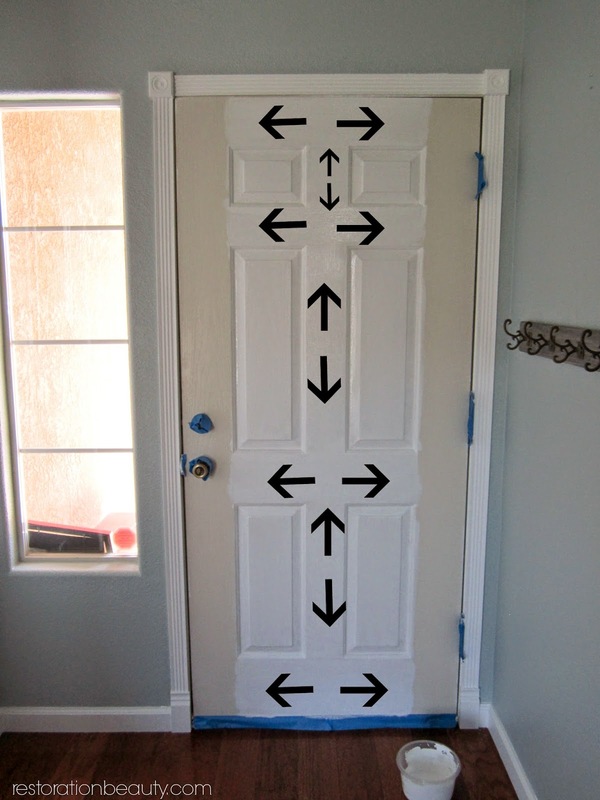 I added the arrows for you to see which way the wood grain goes for each section. Always paint in the direction of the wood grain for the best finish. 4. The final step is to paint the side sections of the door. This too was so easy and fast since the wood grain only goes in a vertical direction. Just start at the top and work your way to the bottom using up and down motions. You can also open your door to make it easier but we had some wind going on and I didn't want dust all over the house. 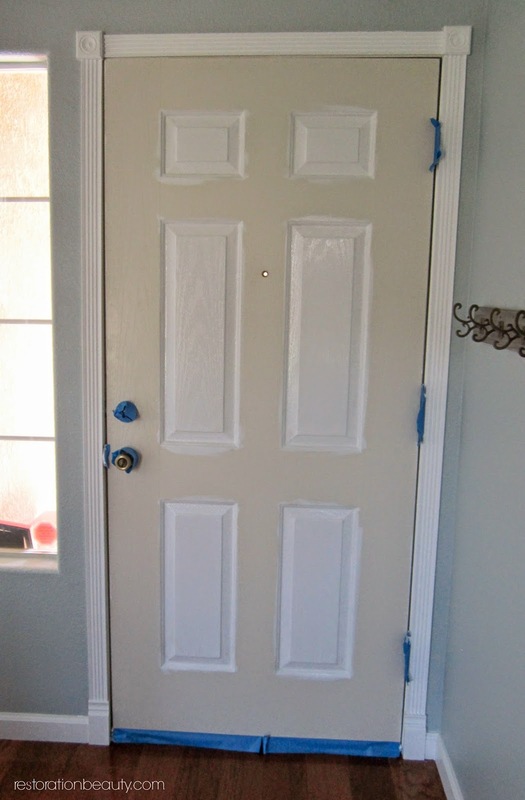 Finish it off with a second coat and then stand back and admire your "new" door. I still can't believe painting this door only took me about an hour! This gets me really motivated to picking a new color for the outside! Now my front door is a fresh crisp white instead of that sad dull white. If all my doors were paneled I'd be on a mission painting them all so they could match but since they're the flat basic builder grade ones we plan on replacing them with paneled ones. No need to paint a door I'm going to get rid of, right? Well friends, that's one more thing checked off my home to-do list and boy does it feel good! You're so right about that brush! I have the same one and it's always my go-to for painting projects. 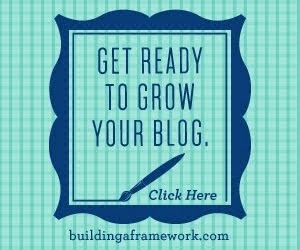 :) Your door looks great! I love the trim around it too. Good job!!! Thanks friend! That brush is seriously my painting bff! Want to get football tournament live score? Get updated live score of fifa here.